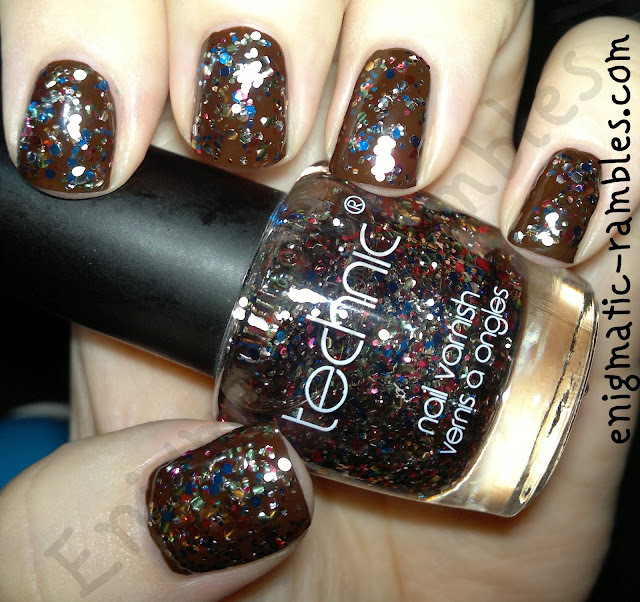 Opacity: Photo is two coats over ELF Chocolate. Much more of a layering topper polish. Possible dupe for OPI's Rainbow Connection, I don't have that so can't compare the two however it is very similar to Barry M's Jewel Britannia which was Limited Edition for the Olympics and Queen's Jubilee.